Given that you’re reading this then it means that you survived the Mayan Apocalypse “predicted” for 21st December 2012. 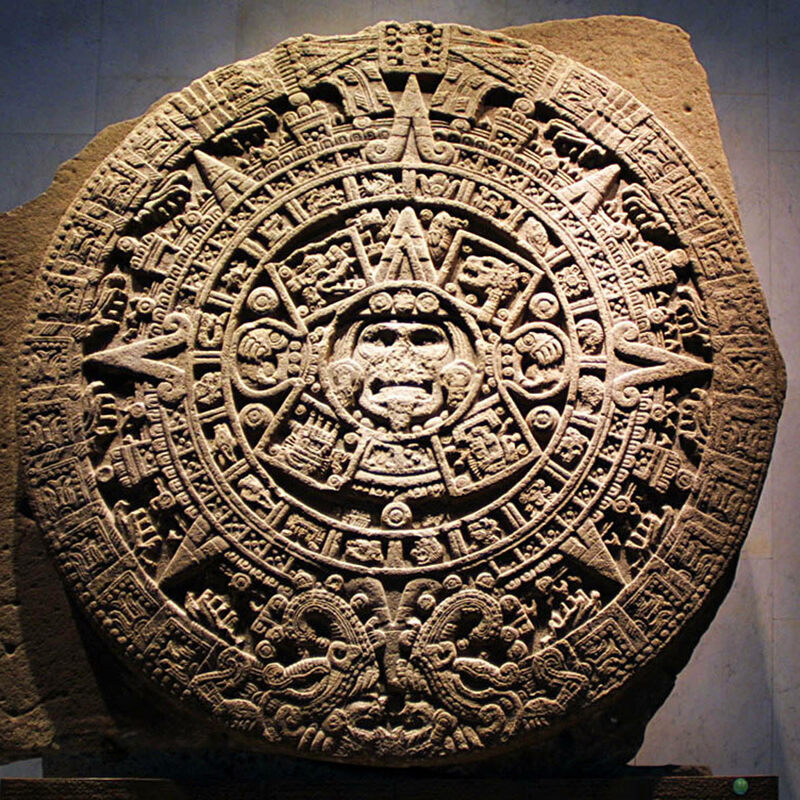 If you don’t know what we’re talking about then, for quite a while now it has been “reported” that the ancient Mayan calendar had predicted the end of the world on 21st December in 2012. Books have been written about it, the blogsphere has been alive with talk of it, newspapers have reported on it an even a whole feature film, imaginatively entitled 2012, has been released. So what is the truth behind this ? And how did it get reported that the Mayans had predicted this ? People everywhere were in a frenzy over a claims that the world would end on Friday 21st December 2012. Everywhere, that is, except Britain. The Mayan apocalypse was supposed to reverberate around the world from a Mexican pyramid in the Chichen Itza temple complex in Yucatan at 11.30pm London time on the 21st. Admission tickets, normally $10 (£6.20) were selling to Americans on eBay for $400. Three-day package tours from New York and Los Angeles were being sold out at $6,000 (although they did include return air travel !). It was a fever to which the British seemed reassuringly immune. In a display of typically understated British humour the authorities restricted themselves to issuing some tongue-in-cheek advice. The London fire brigade suggested people fit a smoke alarm on each floor – so they would be alerted to fire and brimstone spreading through their home. The AA suggested, deadpan, that drivers should “allow extra time for their journey” and if the apocalypse strikes they should “try to remain focused on the road ahead”. True believers who knew the world would end, still thought that somehow they could survive. Some took refuge in the high rock cities built by the Hopi people in Arizona, because the Hopi are somehow ‘more spiritual’ than other native Americans. Others flocked to the French hamlet of Bugaraeh in the Pyrenees, where they believed that aliens would land to pick them up. The deeply superstitious Russians also took precautions, with some towns running out of matches, paraffin, sugar, water and candles after panic buying. In Moscow. Soviet-era nuclear bunkers were being rented out by those who planned to stay underground until Friday the 21sr passed. Others bought “emergency kits” designed to help survive doomsday, including vodka, naturally. So much for establishing that is was a global rather ‘nutsy phenomenon’, but how did this come about and what is the truth behind the hype? 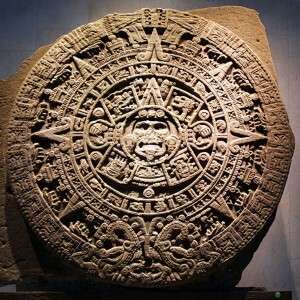 In essence the Mayan Long Count calendar reached the end of a cycle on 21 December 2012. At which point various and numerous nervous individuals started to fear an overwhelming apocalypse would occur, whilst some more optimistic people hoped for a New Age-style global transformation. Lets dig a little deeper in to this then. 1. Who were the Maya? The question should be who are the Maya because this is a culture that still exists to this day. Several million modern Maya inhabit parts of Mexico, and other Central American countries, as they have done for millennia. There is evidence for the Maya civilisation in these regions as far back as the second millennium BC. By the third century AD they had become urbanised and entered what is known as the Classic Period, which lasted until AD 900, during which time the Maya were arguably the most advanced of all the pre-Columbian civilisations. From then on the Maya entered a period of decline and many of their cities emptied of people. Following the European discovery of the New World, Maya lands were conquered by the Spanish, and their culture was gradually influenced by that of the Old World, notably the widespread adoption of Roman Catholicism. Much of the current Maya 2012 obsession focuses on the Classic Maya, rather than the present-day inhabitants of the region. 2. What is the connection between the Maya and 2012? 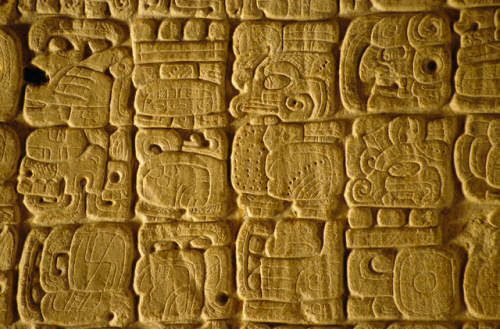 The Maya had several calendar systems to deal with different time scales. They had yearly calendars based on agricultural cycles, but also what is known as the Long Count calendar, for which a full cycle lasted 5,126 of our years. Although the calendar was probably created just over 2,000 years ago, it was dated backwards to have begun in the fourth millennia BC. By following Maya calculations, experts have therefore pinpointed the end of the Long Count cycle to around December 2012, with 21 December being the most popular choice. 3. 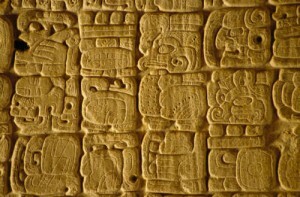 Did the Maya predict that the world would end in 2012? Mayanists were pretty unanimous in answering with a resounding ‘no’. No authentic Mayan text ever foretold the end of the world in 2012, or of any destructive event happening in connection with the turn of the thirteenth Bak’tun [a sub-period in the Long Count]. No one knows for sure what they believed would occur as they didn’t write down in much detail what they thought was going to happen. It was simply a resetting of the clock. When they reached the end of Bak’tuns, the Maya didn’t make a big fuss about it. When they rolled over from the seventh to the eighth Bak’tun in AD 41 there was no big deal and again when they rolled over from the eighth to the ninth in 435 there were a few monuments put up commemorating it – but not many – they were simply noting the date. 5. Where has the Maya 2012 belief come from? The doomsday visions did not originate with the Maya and seem instead to have come from the Old World. Unlike for the pre-Columbian Maya, there is a long-standing strain of apocalyptic thought in western civilisation that has its roots at least as far back as the Bible with its notions of Messianic rebirth, and the terrifying scenes in the Book of Revelations. The modern concerns about 2012 seem to stem from this tradition, rather than anything introduced by the Maya. For western prophets of the apocalypse, the ancient Maya have obvious appeal. That’s partly because they were a relatively advanced civilisation, who, with their sophisticated hieroglyph writing system and pyramid-style structures, bear superficial resemblance to the ancient Egyptians. 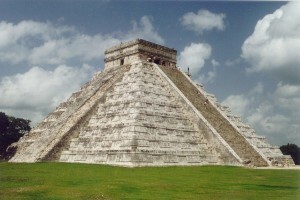 There is also a notion that the Maya civilisation collapsed and that they disappeared. However scholars have been saying for decades that they didn’t disappear and that the population declined dramatically for reasons that are not easy to explain. The existence for hundreds of years of their incredible cities covered in jungle made it seem as if a civilisation had risen up, developed an incredible writing system, and then just vanished. 6. What were the Maya’s real achievements? The real legacy of the Maya is their breathtaking architecture is and world famous, notably the pyramid at the city of Chichen Itza, which was recently voted one of the New Seven Wonders of the World. The Maya also created one of the great art styles of the ancient world with their vase painting and sculpture being comparable with those of classical Greece. There is also the Mayan hieroglyphs, the one true writing system in the New World, that was capable of expressing subtleties of language pretty much as great as modern English. The there is the Mayan calendar system, with all its complexities. The fact that the Maya were looking into both the past and the future in their calendars was truly remarkable.